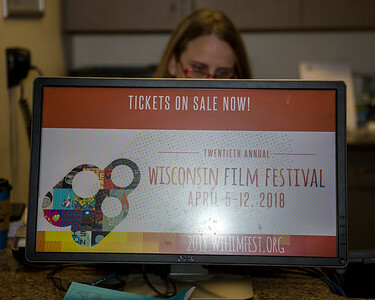 Ticket sales for the 20th Annual Wisconsin Film Festival began at 11:00 am on Saturday, March 10, 2018. 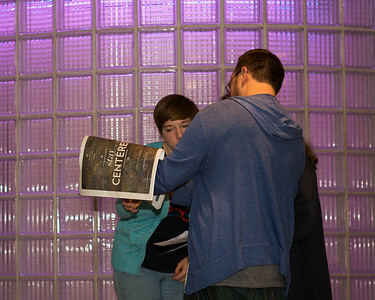 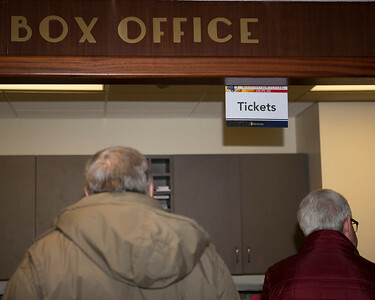 There were several box office attendants assisting with in-person sales at Memorial Union at the Campus Arts Ticketing Box Office, as well as a separate room upstairs. 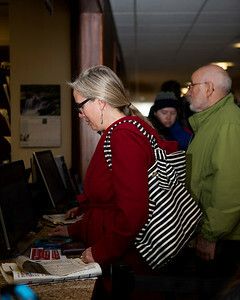 Staff and volunteers were on site to assist with the flow of traffic. 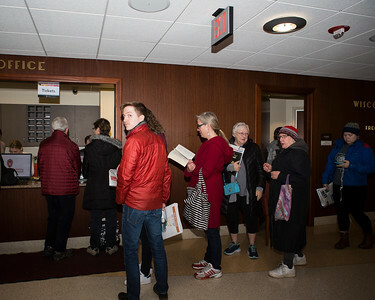 Patrons eagerly wait in line for tickets to the 2018 Wisconsin Film Festival on opening day of ticket sales. 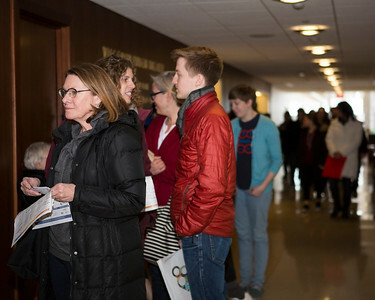 First day of ticket sales for the 2018 Wisconsin Film Festival. 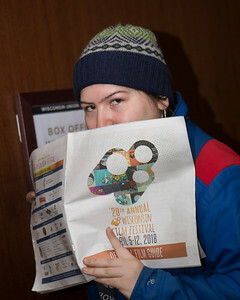 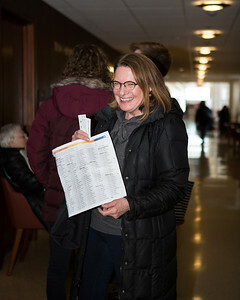 Volunteers assist patrons during the opening day of ticket sales for the 2018 Wisconsin Film Festival. 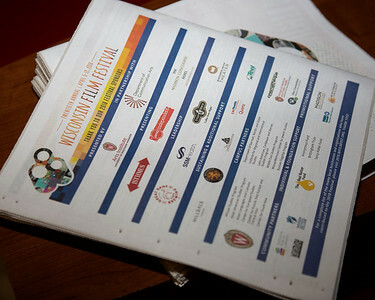 Successful transactions for the 2018 Wisconsin Film Festival on opening day of ticket sales. 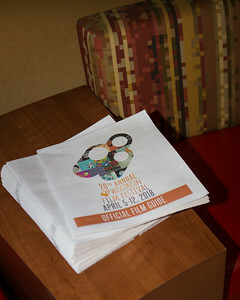 The print Film Guide for the 2018 Wisconsin Film Festival. 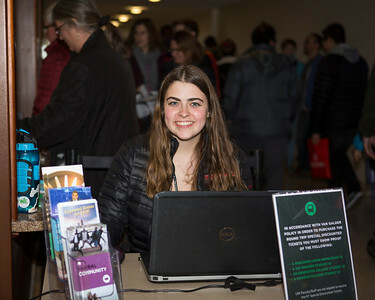 Campus Arts Ticketing Box Office in Memorial Union during opening day of ticket sales for the 2018 Wisconsin Film Festival. 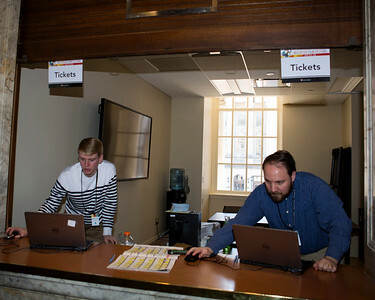 Volunteer Christopher Yue (left) & Volunteer Coordinator Terry Kerr (right) during opening day of ticket sales for the 2018 Wisconsin Film Festival. 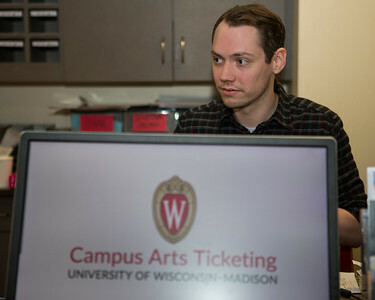 Campus Arts Ticketing Box Office ticket booth in Memorial Union during opening day of ticket sales for the 2018 Wisconsin Film Festival.